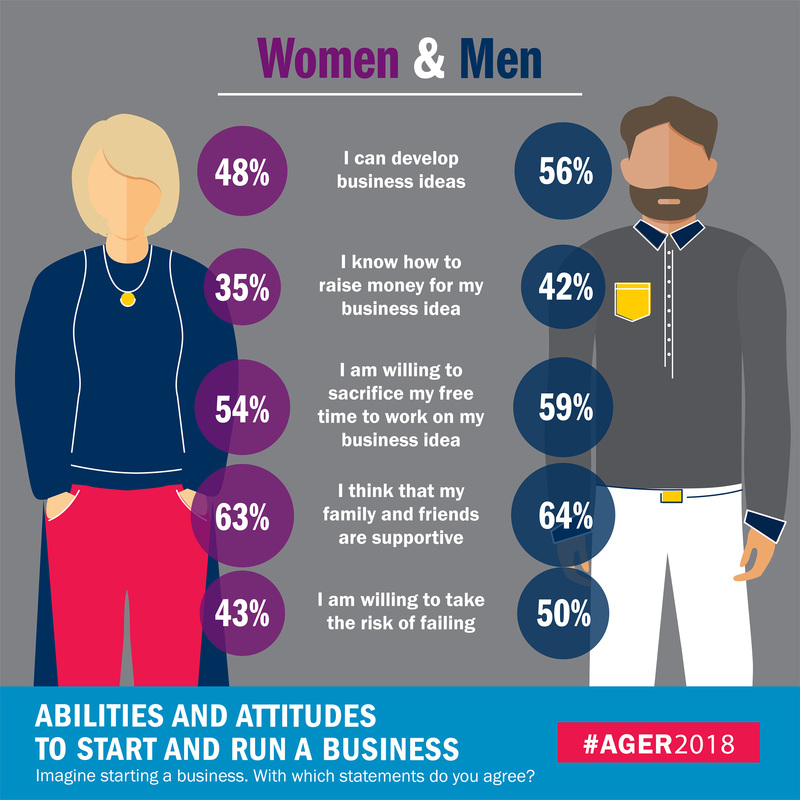 ADA, Mich., March 13, 2018 – As Americans continue to demonstrate positive attitudes towards entrepreneurship, Amway’s new report reveals that more men are interested in becoming entrepreneurs than women and that as individuals get older, their desire to start a business lessens. The report dives into the key drivers behind the entrepreneurial spirit and the impact internal and external factors have on attitudes and perceptions about entrepreneurship. 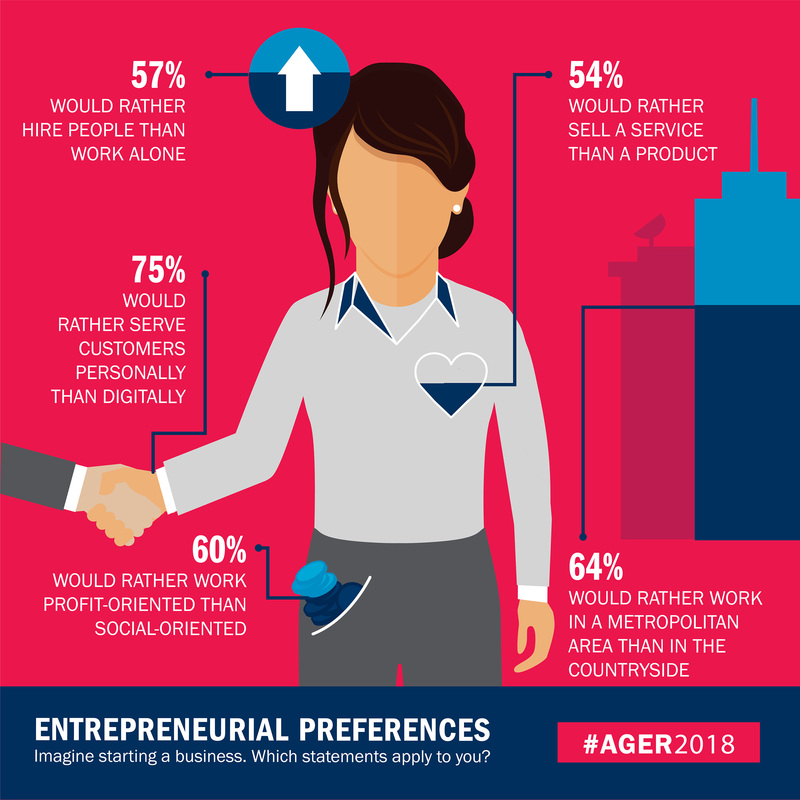 The eighth annual Amway Global Entrepreneurship Report (AGER), published today, measures the state of entrepreneurship worldwide. The 2018 study finds that more U.S. respondents (57 percent) have the desire to start their own business compared to global respondents (49 percent). While the desire to become an entrepreneur in the U.S. is down slightly from the previous year (61 percent), there is a strong sense of continued optimism among respondents. Age, gender and education levels also can potentially impact attitudes towards entrepreneurship. Most surprisingly, in the U.S., the education gap is significantly shrinking when it comes to desirability of starting a business. The report explains that having a university degree does not play a significant role in shaping entrepreneurial spirit – those with and without university degrees exhibited similar sentiments. This year’s report examined how age, gender and education levels impact attitudes towards entrepreneurship. It also examined various aspects that either hinder or help entrepreneurs – internal factors (such as commitment, willingness to take risks, knowledge of how to earn money) and external factors (such as their country’s operating environment, technology availability and entrepreneurially forward education system). 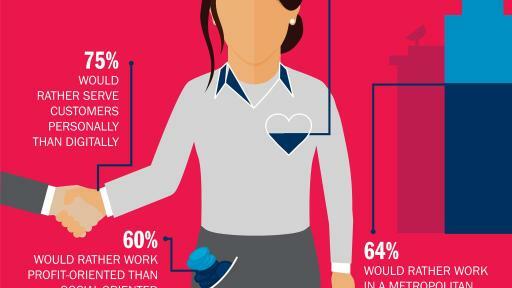 This year’s report confirmed the desirability of starting a business falls with age. While the AESI is the same (58) for respondents under 35 years of age and those between the ages of 35 and 49, it is considerably lower (51) for respondents over 50 years old. 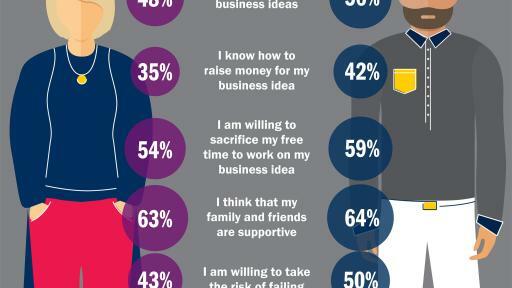 The youngest age group surveyed demonstrated the strongest desire (68 percent) to start a business. This falls to 60 percent for the middle age group and 48 percent for the oldest group of respondents. Most interestingly, the feasibility of becoming an entrepreneur follows a different demographic pattern with respect to age. It is the lowest for the youngest respondents (58 percent) and highest for the middle-aged respondents (64 percent). Education, in terms of having a university degree, has a minimal impact on shaping entrepreneurial spirit. Respondents with and without university degrees exhibited a similar AESI. Previously, those without a university degree exhibited a greater desirability for entrepreneurship compared to their counterparts with a university degree, however this gap has disappeared. Gender plays a clear role in shaping the entrepreneurial spirit of Americans. While 67 percent of U.S. males reported starting a business would be desirable, only 47 percent of U.S. females reported the same. Similarly, 69 percent of U.S. male respondents felt they have the requisite capabilities to become an entrepreneur compared to 52 percent of U.S. females. In general, men also had higher AESI scores (62 percent) compared to women (48 percent), roughly similar to previous years. In looking at U.S. respondents’ abilities and attitudes regarding starting and running a business, the majority (88 percent) perceive themselves as socially supported (compared to 64 percent globally). When it comes to taking risks, 74 percent of U.S. respondents consider themselves to be risk-takers, compared to 47 percent of respondents globally. 57 percent of U.S. respondents believe the economic situation in their country is beneficial (compared to 36 percent globally). Full results and more information about AGER can be found here. The first iteration of AGER launched in 2010 as the Amway European Entrepreneurship Report, then expanded worldwide with the 2013 AGER, encompassing 24 countries. This year’s report spans 44 countries, with in-person and telephone interviews conducted with nearly 49,000 men and women aged 14-99. The 2018 AGER was conducted by Amway, in partnership with Prof. Dr. Isabell M. Welpe from the Chair of Strategy and Organization of the School of Management, Technical University of Munich, Germany. Fieldwork was completed by the Gesellschaft fuer Konsumforschung, Nuremberg, from April through June 2017. Results are shared with the scientific community, including the 44 AGER academic advisors and all interested think tanks and academic and public institutions. Amway is an $8.6 billion direct selling business based in Ada, Michigan, USA. Top-selling brands for Amway are Nutrilite™ vitamin, mineral and dietary supplements, Artistry™ skincare and color cosmetics, eSpring™ water treatment systems and XS™ energy drinks – all sold exclusively by Amway Business Owners. Global sales in 2016 made Amway the No. 1 direct selling business in the world, according to the 2017 Direct Selling News Global 100. The company’s annual sales figure includes revenue from direct selling operations and other business holdings. For company news, visit amwayglobal.com/newsroom.